Bahrain-based GFH Financial Group, a leading financial group in the Gulf, has reported a net profit of $114.08 million attributable to shareholders during 2018 compared with $104.18 for the previous year, an increase of 9.5 per cent. The company attributed the growth to mainly due to contribution from across all business lines and strategic transactions during the year. GFH posted a consolidated net profit of $115 million for 2018 as compared with $103.19 million from the previous year, an increase of 11.4 per cent. Net profit attributable to shareholders for the fourth quarter of 2018 was $10.64 million versus $16.95 million in the fourth quarter of 2017, a decrease of 37.2 per cent. Consolidated net profit for the fourth quarter of 2018 was $10.39 million compared with $12.15 million in the fourth quarter of 2017, a decrease of 14.5 per cent. Total equity attributable to shareholders in 2018 was $1.06 billion as compared to $1.15 billion in 2017, a decrease of 7.9 per cent due to share buyback by the Group. For the full year 2018, the Group’s total consolidated revenue was $246.21 million compared with $204.36million in 2017, reflecting a healthy year-on-year increase of 20.5 per cent. For the fourth quarter 2018, the Group’s total consolidated revenue was $61.6 million compared with $41.2 million in 2017, reflecting a healthy quarter-on-quarter increase of 49.5 per cent. Growth resulted from a successfully diversified business model and solid contributions from across its investment and commercial banking, real estate and asset management businesses lines in addition to increases in other income generated through strategic initiatives undertaken by the Group. Importantly, GFH also continued to deliver on its strategy of achieving profitable exists, which for the year amounted to $120 million. “We are especially pleased with strong income growth achieved during the year across the board, which has been critical to solidifying trust in the ability of the Group, even despite challenging market conditions, to deliver in line with investor and shareholder expectations. Among the strongest measures of market confidence in GFH today and over the past year was the raising of more than $1 billion through our investment products and treasury and capital markets during 2018, which fuels further growth and investment for GFH in 2019. “We are also delighted to announce the Board’s recommendation for another robust distribution of a dividend of 8.71 per cent and $85 million ($30 million cash and $55 million bonus shares) for 2018 to shareholders, subject to approval by the General Assembly and our regulators. 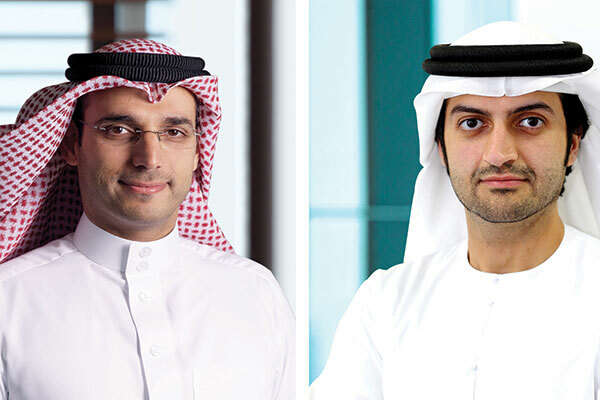 Our results, coupled with a progressive dividend policy, continue to make GFH one of the strongest distributors of dividends, which remains our priority,” Alseddiqi concluded. “We made our first technology investment in the Entertainer, a market leading leisure platform that operates in the region and globally and which has been doubling its turnover year on year .Significantly, we have also made strong progress in achieving strategic and profitable exits ahead of targets and despite challenging market conditions. “We are committed to creating value for shareholders and in 2018 this was demonstrated in the transformation of our real estate portfolio. During the year, we took assets with relatively low book value and turned them into revenue generators. This includes land banks in India, Dubai, Bahrain, which provides the Group with a range of markets and classes from which we can derive benefit over the medium to longer term. Particular progress was also made on our landmark Villamar project in Bahrain, for which we acquired the majority Sukuk and are taking the development towards completion,” he added. Alrayes concluded, “We entered 2019 with strong confidence and expectations for further top and bottom line growth both overall and from across our various business lines including greater contributions from our real estate activities. Diversification will also remain a key focus both in terms of what and where we invest.